There is no denying that having a knife handy can never be a bad thing. After all, when you need it, it is best to have one within easy reach. This Shinobi Leather Knife Bracer allows you to keep a trio of knives close at hand, almost literally so! This bracer could easily be seen as an addition to any shadow warriors attire, and it borrows its name from one of the most famous assassins in history, the shinobi, or more commonly, the ninja. 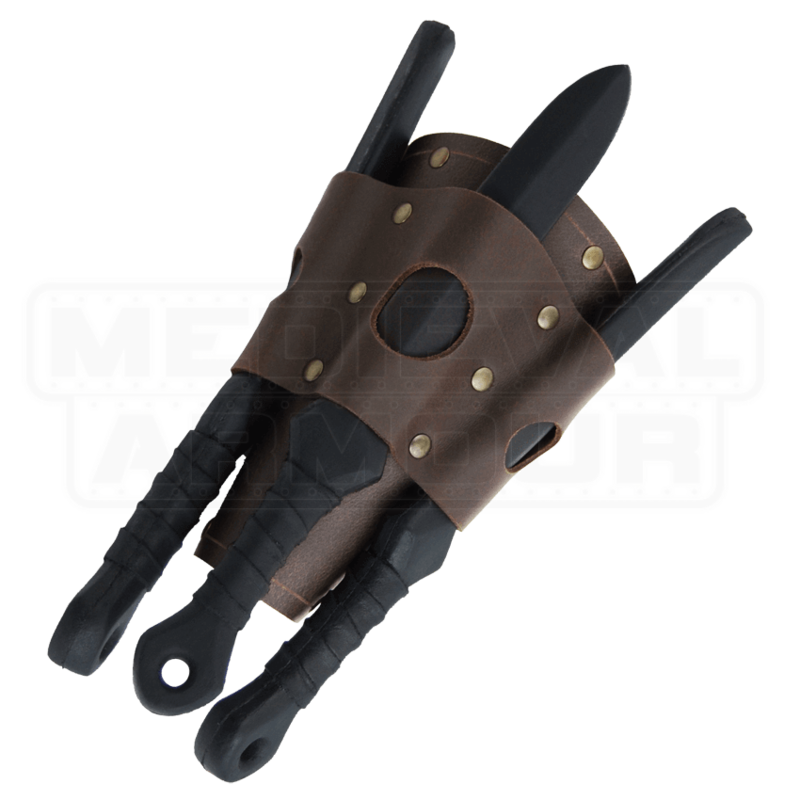 This bracer is made entirely from high quality leather and it features a trio of riveted-on leather holsters, which allow a trio of throwing knives to be stored on the bracer. Worn on your wrist, this bracer puts three throwing knives at your swift use, allowing you to hurl projectiles with speed or to draw on one or two daggers at point-blank range! This bracer fits either wrist and is offered in two colors and one size. It laces up the back for closure, giving it an adjustable size. 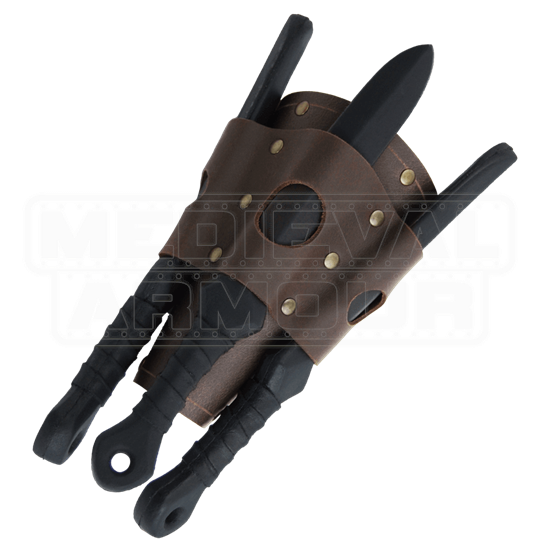 Pick up one and you will have a way to keep some knives handy at all times or pick up two of this Shinobi Leather Knife Bracer so that you can double the amount of bladed trouble that you can inflict upon your foes on the field of battle.